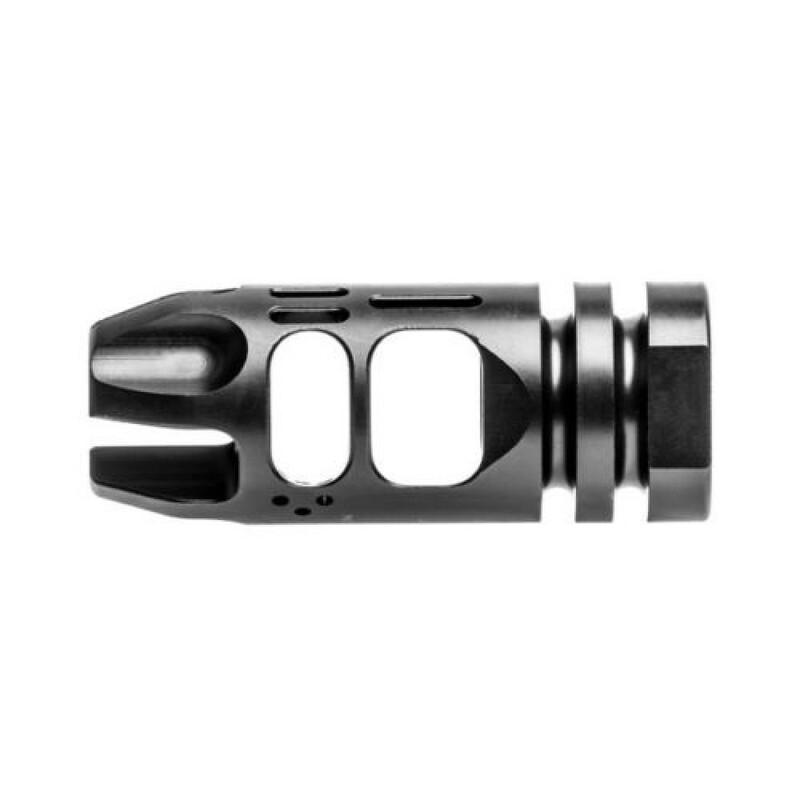 The VG6 Epsilon 5.56 is a High Performance Recoil Reduction Muzzle Brake. 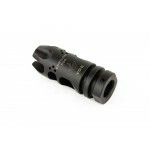 The VG6 Epsilon 556 is the pinnacle of AR15 muzzle devices. The VG6 Epsilon 556 outperforms everything on the market. 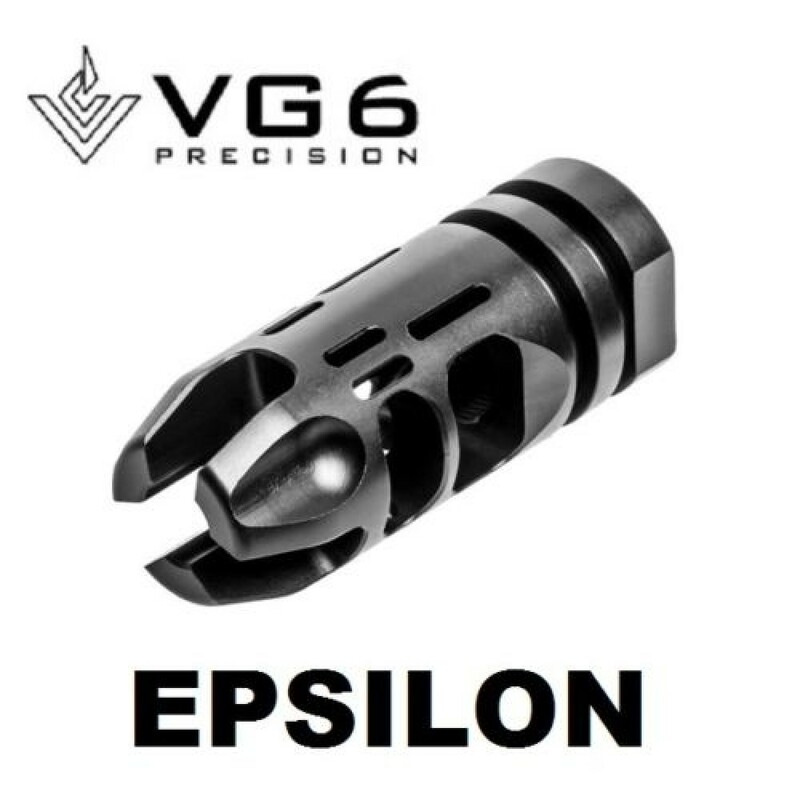 The VG6 Epsilon 556 carries many of the same characteristics as the Gamma 556 with a few exceptions. 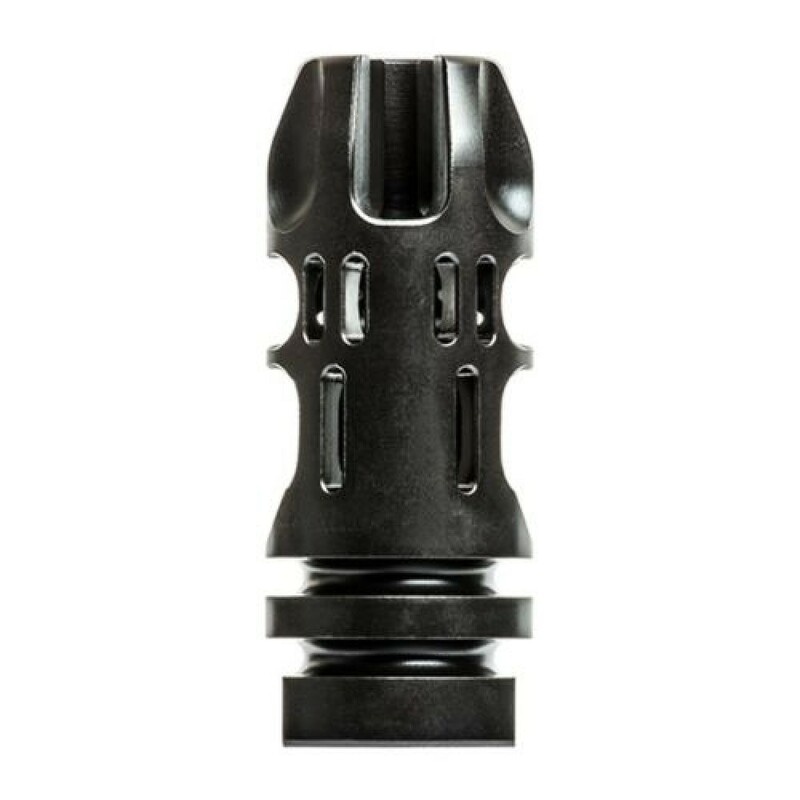 Extended flash hiding prongs and no ports at the 12 o’clock positions allow uninhibited view from flash through optics or sights. The difference in porting is also noticed on the underside of the device where it has 6 valve holes to allow the fastest gasses reaching the second chamber to exit. 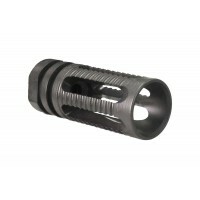 This creates very soft low energy recoil that allows for absolute control. Black Nitride finish. No question. 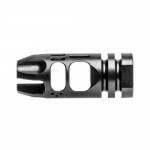 This muzzle device is the best in the market right now, special thanks to TomsTactical for an awesome price and a speedy shipping. Having not used anything other than an A2 birdcage, I cannot comment that this is the "best." But what I can say is that I researched, read reviews and watched many videos comparing different options, which lead me purchase the Epsilon. Even after my research, I still had a huge smile on my face after the first shot through this brake! COMPLETELY EXCEEDED MY EXPECTATIONS, and the smile didn't leave until I left the range. Tom's Tactical was great. Best price out there by ~20%, fast shipping, etc. Would/will definitely order from again. 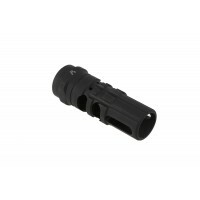 Best muzzle break I've used so far, and at a great price. Amazing quality. Toms service and shipping were great too. 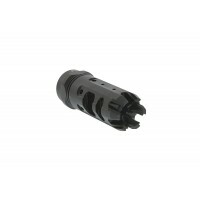 It’s the best muzzle break I have used, and for the price it cannnot be beat. Service and shipping were great too. Definitely well made and looks great. So far it sure seems to work well. I assume its loud but I wear plugs and muffs both so it doesn't seem to be an issue.